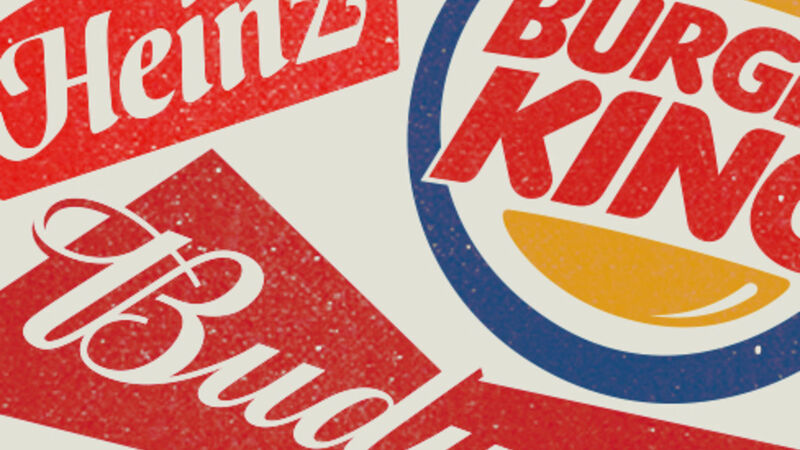 NOT MANY consumers have heard of 3G Capital, an investment fund, but it controls some of the planet’s best-known brands, including Heinz, Budweiser and Burger King. In the business world 3G has become widely admired for buying venerable firms and using debt and surgical cost-cuts to boost their financial returns. But after Kraft Heinz, a 3G firm, revealed a $12.6bn quarterly loss on February 21st what appeared to be a successful strategy suddenly looks like a fiasco. The implications reach beyond Kraft Heinz. In total, 3G-run firms owe at least $150bn (3G’s founders hold direct stakes in some firms while others are held by 3G’s investment funds; for simplicity, it makes sense to lump them together and call them 3G). Notable investors have got not just egg, but ketchup, on their faces—Warren Buffett’s investment firm, Berkshire Hathaway, lost $2.7bn on its Kraft Heinz shares in 2018. There is a queasy sense that 3G’s approach of dealmaking, squeezing costs and heavy debts, can be found at an alarming number of other firms. Leveraged takeovers are nothing new. In the 1980s raiders such as James Goldsmith terrorised boardrooms while private-equity tycoons launched buy-outs, most famously of RJR Nabisco in 1988. With its roots in Brazil, 3G has brought twists of its own to such barbarism. One is the scale of its dealmaking. It is history’s second-most acquisitive firm, after Blackstone, with $480bn of takeover bids, including the purchases of Anheuser Busch and SAB Miller. Another is its distinct style of buying popular brands with oligopolistic market shares. It believes that competition in such industries is muted and that consumers will reliably drink beer and eat beans for ever: Bud was, after all, founded in 1876 and Heinz in 1869. And since 3G is confident that sales will remain steady, it then loads firms with debt and cuts costs using zero-based budgeting, a technique that requires managers to justify every dollar of spending from scratch each year and reinvest only some of the savings in the best brands. It sounds plausible and it worked for a time—indeed the restaurant division is still performing reasonably. But recently problems have emerged elsewhere. Consumers are getting more fickle and are switching to independent beer brands and healthier food (see article). Competitors have raised their game; supermarkets are promoting cheaper white-label brands while e-commerce has given a leg up to insurgent brands. And capital markets have adapted. Investors have urged other firms to copy 3G’s cost-cutting tactics, even as takeover targets have got pricier because investors expect 3G to pay top dollar for them. Signs of trouble emerged in October, when AB InBev, 3G’s beer arm, cut its dividend. Although it is still growing overall, in North America its volumes and profits shrank in 2018. Meanwhile, Kraft Heinz’s recent woes have led it to cut its dividend and warn that profits in 2019 would fall. Alarmingly, this doesn’t seem a mere blip: it wrote down $15bn of acquisition costs. For good measure it also said that regulators are investigating its accounting. Neither AB InBev nor Kraft Heinz is likely to go bust, but in the long run they might end up being broken up yet again. Cost-cutting is essential in mature industries. The process of reallocating labour and capital away from declining products and towards new ones, as well as to new firms, is what boosts productivity. Nonetheless, managers have to get the mix right between slashing expenses and investing for growth, while maintaining an appropriate level of debt. Kraft Heinz has failed on both counts. It now forecasts that gross operating profit in 2019 will be slightly lower than in 2014, before the two firms merged, while its balance-sheet is creaking. Far from being an exception, Kraft Heinz is a super-sized version of the strategy of much of corporate America over the past decade. Although sales have been sluggish, 66% of firms in the S&P 500 index have raised their margins and 68% have raised their leverage since 2008. A mania for deals in mature industries, premised on debt and austerity, is in full swing. AT&T has bought Time Warner, Disney is buying Fox and Bristol-Myers Squibb, Celgene. These three deals alone involve over $110bn of extra net debt and envision a $6bn cut in total annual costs. Perhaps the good times will roll on. But there have already been two big blow-ups of acquisitive, indebted firms: Valeant, a drugmaker, in 2015-16; and, in 2017-18, General Electric, which has just sold its biopharma arm in order to cut its borrowings. There have been lucky escapes, too. In 2017 Kraft Heinz and 3G tried to buy Unilever for cash and stock for about $140bn. It was only thanks to a determined fight by Unilever’s managers, not its shareholders, that Kraft Heinz withdrew. Any time a firm has a string of successes, boards and investors tend to drink the Kool-Aid (another Kraft Heinz brand). In fact their unsentimental collective task is to enforce discipline and to block bids by over-extended firms. Since the end of 2016 the value of 3G’s portfolio has dropped by about a third, lagging far behind both the S&P 500 and food and beverage firms. Shares of Kraft Heinz have underperformed Unilever by an incredible 84 percentage points since the failed takeover bid. That’s enough to make you choke on your beer and burger.